Holy freezing, it’s officially winter. It is snowy, cold, and all I want are my pajamas and blankets. And soup. Lots and lots of warm soup. 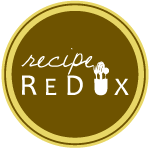 Luckily, this month’s Recipe Redux theme coincided with soup season (for me, at least). It’s time to “Grab a Book & Cook!” I went to my bookcase, opened one of my favorite cookbooks, and turned to page 201, a variation of 2016. My book didn’t have 2016 pages, hence page 201. The book I chose for this month’s theme was The Food Lab: Better Home Cooking Through Science by J. Kenji Lopez-Alt. This book definitely relates to my blogging style, because like this author, I show my readers the significant impact that science has on every recipe I create. The Food Lab is a very interesting read, because the author explains the ideal way to develop recipes using science. The writer also speaks from his nerdy heart, and makes the science jargon understandable to everyone. The title on page 201 of The Food Lab is, I kid you not, “How to Make Creamy Vegetable Soups Without a Recipe.” Soup, there it is! I looked at his directions about how to make a delicious, creamy soup, and I basically used them as guidelines to make a Thai Green Curry. Thai curry is an aromatic, soup-like sauce with a spicy, creamy, coco-nutty finish. It’s just so warm and vibrant, that I had no choice but to create it. The author gives 9 steps for preparing a cream soup, from which I used 7 steps to make my curry. I’ll recite the steps below, in the directions panel. Thanks to The Food Lab, I’ll be able to create any type of soup on the fly. Now you will, too! Prepare the potatoes, bell peppers, mushrooms, and chicken. Set those aside for later use. Onions and garlic provide great supporting actor roles for all soups. They give the soup an alliaceous quality, and enhance the main ingredients to the next level. Alliaceous is one of my husband’s favorite words. It sounds really fancy, but it mainly means onion-y and garlic-y. Without these ingredients, the soup would be boring. Other alliums include leeks and shallots. Prepare the onions and garlic as described in the ingredients section. Many people don’t often use this stage in soup creation, but I don’t see why you wouldn’t… If you like creating flavors, then you’ll enjoy this step. These are ingredients are spices and herbs. Start plucking and chopping up that cilantro, people! Otherwise, you’ll never develop that typical Thai curry flavor. Set the cilantro aside. Another part of this step is to add paste. Thai Green Curry paste is a key ingredient to the success of this recipe. Curry is generally a blend of spices, and it isn’t actually a spice itself. The curry paste that I chose for this recipe has green chili, garlic, lemongrass, galangal (Thai ginger), salt, shallots, miscellaneous spices, and Kaffir lime. You will use the paste in the next step, as well as the ginger. In a separate bowl, whisk together the coconut milk, green curry paste, chicken broth, soy sauce, and juice from 1 lime. The choice of liquids has a big impact on the finished dish. I chose chicken broth to enhance the flavor of the chicken going into the curry. The coconut milk was chosen for creaminess, as well as the typical Thai flavor. The soy sauce was used for a salty finish. The acid from the lime is used to neutralize the fatty taste of the coconut milk. Once these ingredients are whisked together, stir in the minced cilantro (NOT the leaves) and ground ginger. Okay, I’m not really browning or sweating aromatics. However, I’m going to sweat my entire soup. Sweating is “the process of slowly cooking chopped vegetables in a fat,” says Lopez-Alt. The goal is to get rid of moisture and break down the vegetables to release more flavors. Start building your curry in your slow cooker- Add the vegetables, chicken breast, and bowl of liquid ingredients to the slow cooker. Stir everything together, so the liquid is coating all the vegetable and chicken components. Turn the slow cooker on high, and set the timer for 4 hours. Ready to cook the curry. Turn the slow cooker on low after 4 hours, and add the remaining lime juice and cilantro leaves. Keep the curry cooking for 1 more hour. Acid tends to dissipate quickly when cooking, so you can always cut an extra lime wedge at the end before serving. Your soup/curry is basically done, but you can always add some more chopped cilantro when plating. Also, the slice of lime I mentioned would go here. The curry tastes absolutely delicious over rice, or you can eat it as-is. You’ve officially created your own curry, and you can use these steps for soup innovation in the future! I’ve been wanting to get the Food Lab book. On your reco, I think I will! This looks amazingly yummy! I got The Food Lab as a birthday gift from a friend, and I was so excited about it! I’m looking forward to make tons of soup this winter.